In 2013, Hopsters, a brew-your-own beer joint and bar, opened on a busy corner just off the Pike in Newton. Since then founder Lee Cooper has taken feedback from corporate clients — who use the space for company outings — suggesting a more centrally located Hopsters in the city. And so, just before the New Year, a new Hopsters was born in the Seaport. With the help of a crowdfunding campaign of more than 700 investors, Cooper raised $1.3 million for the new Hopsters, which occupies 6,000 square feet on Sleeper Street. 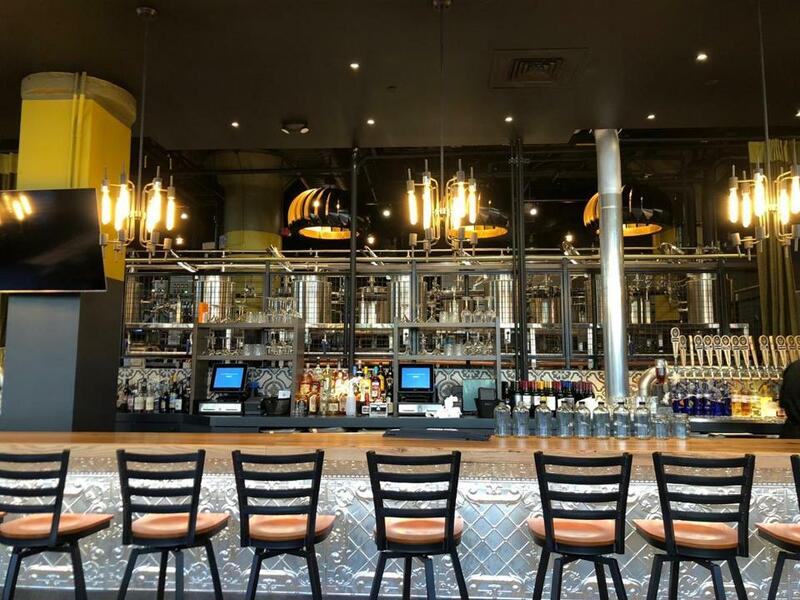 The Seaport Hopsters has 20 beers on tap, all brewed in house and on trend. Cooper says three New England-style IPAs are the most popular, with the Newtonian, an 8.4 percent ABV double IPA described as a “double dry-hopped juice bomb,” selling better than the rest. Hopsters cans the beers in house so you can take them home, though $4 pints of Upper Class, a cream ale, are available for the bar crowd. Making your own beer is what makes Hopsters unique, and there are 30 recipes available for customers to brew themselves, including a Belgian Wit, Mocha Cream Stout, and a Smoked Rye Porter. It costs between $180 and $230 to brew a batch. The entire process takes about two hours, and your beer is ready in two weeks, available for pickup or delivery. Cooper has big plans for the Hopsters business model. He’s hoping to expand the brand to 16 locations in six years, targeting Stamford, Conn., New York City, and Philadelphia in the coming months. The Seaport Hopsters is located at 51 Sleeper St., Boston.